Who hasn’t watched Coffee Prince? This 2004 drama was a big hit, not only for their romantic comedy story but also for its cast. 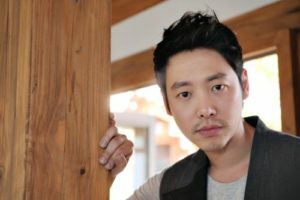 And one of the cast members that still remains in mind is the cute waiter from Coffee Prince, none other than Kim Dong-wook! Sure, it has been ages since the drama, but looking at him right now, he has still got that look and smile that we all love. Kim Dong-wook is loved by many, not only for his character in Coffee Prince, but also for his puppy-like smile. I mean, take a look at that photo. Who can blame them, right? He’s got a smile that no one can help but be charmed by. So, if you want to know more about this sweet prince, let’s go go~! The Concubine is a 2012 historical drama directed by Kim Dae-seung. This was set in Joseon Dynasty and is about Hwa Yeon (Jo Yeo-jeong) who became a royal concubine, although she doesn’t want to be. It is also about Kwon-yoo (Kim Min-joon), who is torn between love and revenge, and Prince Sung-woon (Kim Dong-wook) who fell in love with Hwa Yeon despite the fact that there are so many woman who are willing to be with him. Those 3 then formed a dangerous love triangle, struggling with a boundaries of the palace, feelings, and passion. Kim Dong-wook said in an interview that it wasn’t easy at first to understand Prince Seong Woon’s point of view. But then, he started to understand and became one with his character. When he was asked, which scene was the most difficult, he answered that everything was hard. “The real thing turned out to be even harder than that”. But he himself thought that this movie is a piece that allowed him to start over in so many different ways. As a result, many people were fascinated with his character and the story which then brought him the best reviews of his career.